Naghili, H., Tajik, H., Mardani, K., Razavi Rouhani, S., Ehsani, A., Zare, P. (2013). Validation of drop plate technique for bacterial enumeration by parametric and nonparametric tests. Veterinary Research Forum, 4(3), 179-183. Hossein Naghili; Hossein Tajik; Karim Mardani; Seyed Mehdi Razavi Rouhani; Ali Ehsani; Payman Zare. "Validation of drop plate technique for bacterial enumeration by parametric and nonparametric tests". 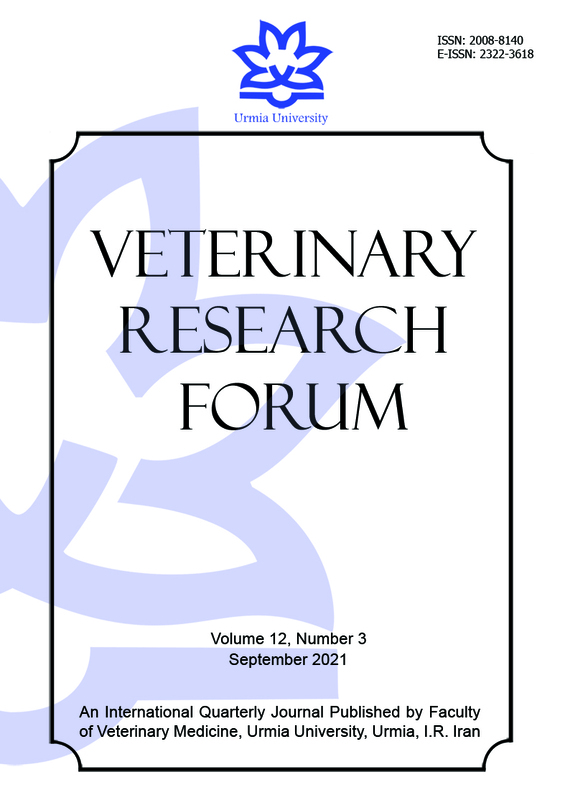 Veterinary Research Forum, 4, 3, 2013, 179-183. Naghili, H., Tajik, H., Mardani, K., Razavi Rouhani, S., Ehsani, A., Zare, P. (2013). 'Validation of drop plate technique for bacterial enumeration by parametric and nonparametric tests', Veterinary Research Forum, 4(3), pp. 179-183. Naghili, H., Tajik, H., Mardani, K., Razavi Rouhani, S., Ehsani, A., Zare, P. Validation of drop plate technique for bacterial enumeration by parametric and nonparametric tests. Veterinary Research Forum, 2013; 4(3): 179-183. Drop plate technique has a priority and preference compared with the spread plate procedure, because of less time, quantity of media, effort requirement, little incubator space, and less labor intensive. The objective of this research was to compare the accuracy and fidelity of drop plate method vs. spread plate method by parametric and nonparametric statistical tests. For bacterial enumeration by drop and spread plate methods, successive dilutions of second subculture of Lactobacillus casei and Salmonella Typhimurium were transferred to selective agar. The correlation of agreement between both methods was evaluated by using statistical proofs. Results showed that mean value (parametric unpaired t-test) comparison at 95 percent confidence level did not reject null hypothesis, which it meant that the equality of the mean data could not be ruled out. Nonparametric method was used because of approximately Gaussian pattern of data distribution. For this purpose, Mann-Whitney test (equivalent nonparametric t-test) was used. It meant that the equality of medians obtained from two methods were similar. Spearman’s rho correlation coefficient (r) via both methods due to data distribution patterns for enumeration of S. Typhimurium and L. casei were 0.62 and 0.87, respectively; which represented moderately strong and strong relationship between two methods, respectively. Besides, there was a significant and strong positive correlation (p < 0.001) between spread and drop plate procedures. Because of aforementioned reasons, the spread plate method can be replaced by drop plate method.